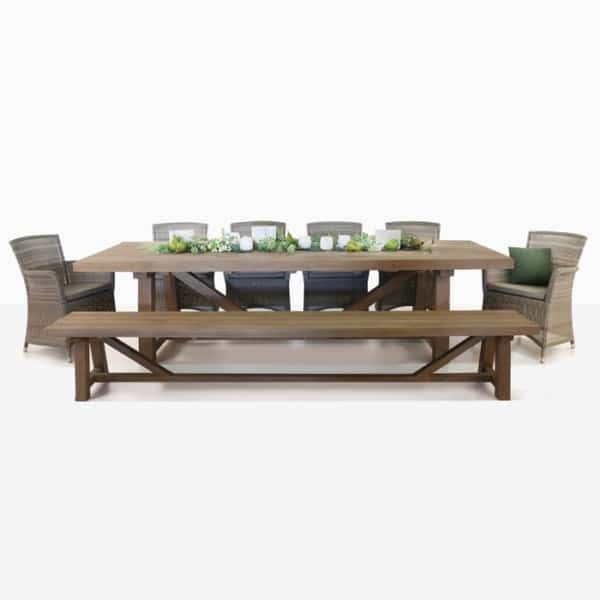 This outdoor dining set is the perfect blend of comfort and elegance. 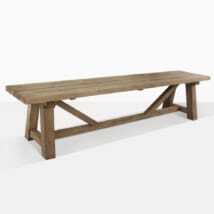 Our famous 117″ reclaimed teak trestle table has a cozy and rustic feel. 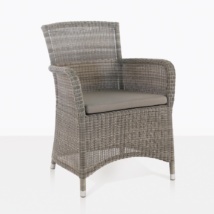 The Gilbert wicker dining chairs finish the look and add the right amount of sophistication. Whether you are an intimate party of two, or large gathering of ten people, this table will feel just right. 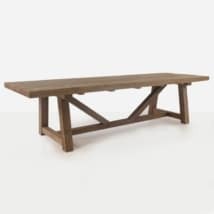 Our reclaimed teak trestle table is one of our most popular outdoor dining tables. It is easy to create your own look depending on which dining chair you choose to pair it with. Adding just one bench will show off it’s beautiful silhouette and can also keep the dining set a little more causal if you like. 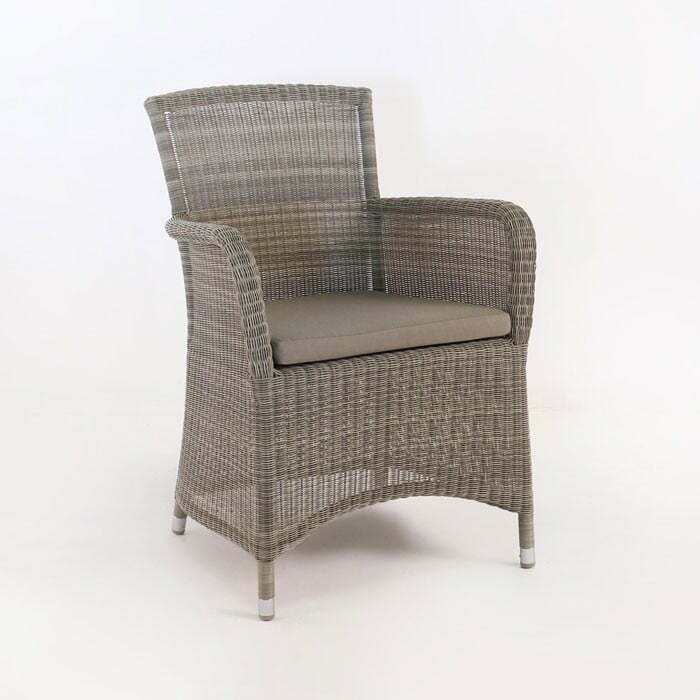 The Gilbert outdoor wicker dining chairs are impeccably constructed with Ecolene® wicker and a powder-coated aluminum frame. 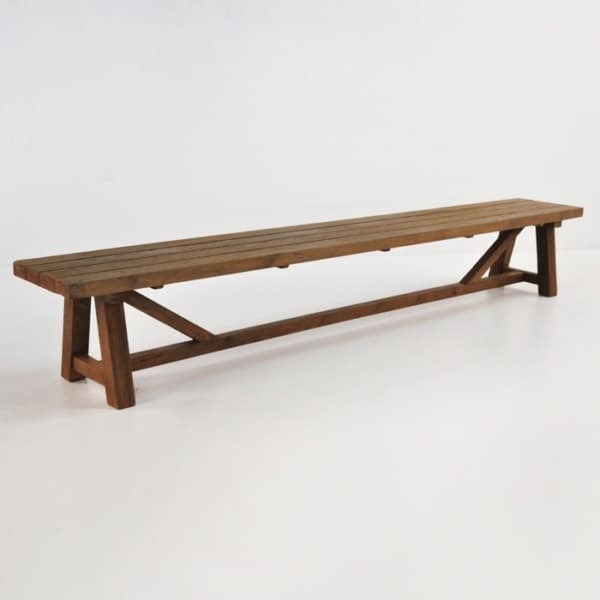 They include a free Sunbrella® cushion to add the right amount of comfort.Our outdoor furniture is simple to maintain. We recommend keeping it clean to ensure it looks it’s best. Wipe it down with a warm damp cloth, mild soap and low-pressure hose. The chairs are light and easy to move and should be stored indoors during the harsh winter months. 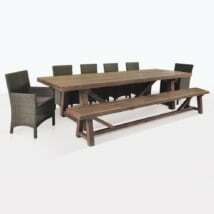 This dining set is just one of the many dining sets we offer. We can’t wait to help you create your outdoor dining set that will reflect your style.